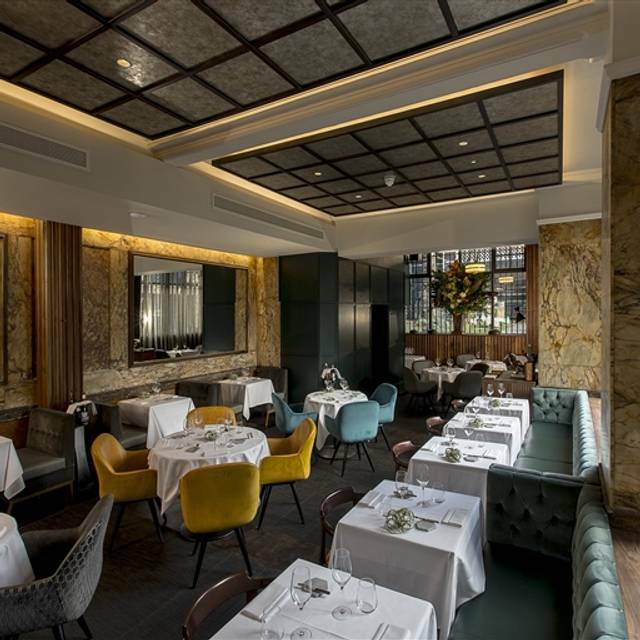 You must make bookings at least 5 minutes in advance of the time at Club Gascon. _Lunch Monday to Friday from 12:00 a.m. to 2:00 p.m.
_Dinner Monday to Saturday from 6:00 p.m. to 10:00 p.m.
Closed on Saturday Lunch , Sunday all day. Christmas party, birthday, wedding, anniversary, corporate dinner, client meetings. 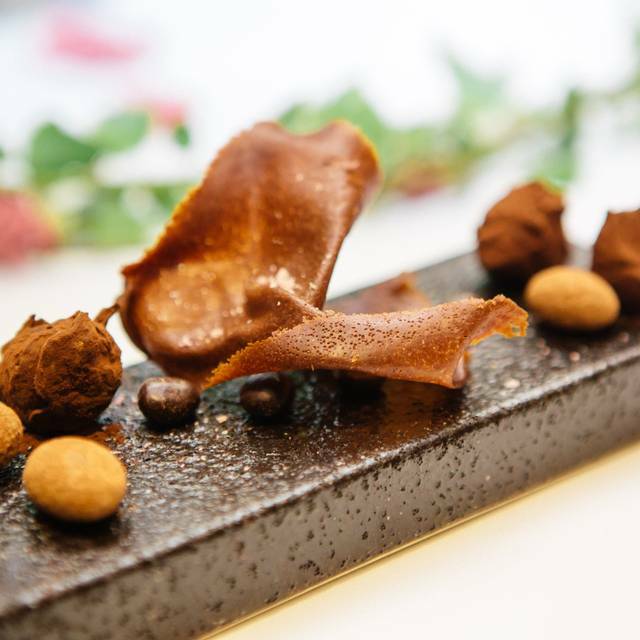 Quality, flavour and creativity are just three words to describe Pascal Aussignac’s Michelin-starred temple to the gastronomy of Aussignac's native Gascony where food and wine have a unique synchronicity. 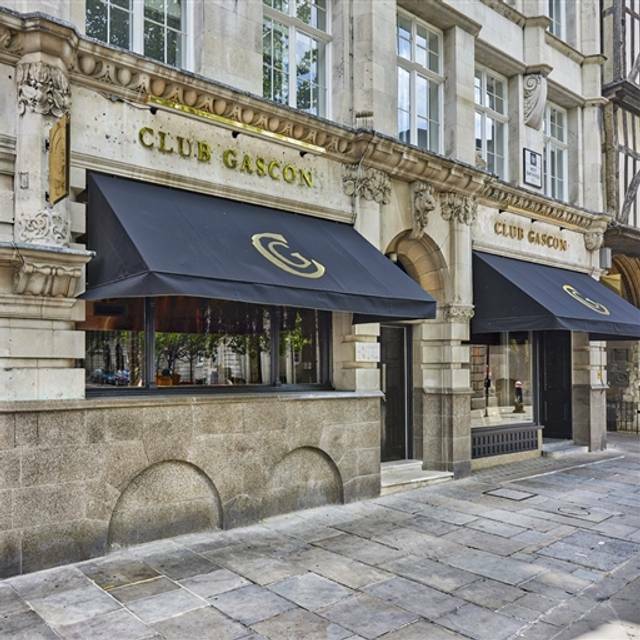 Located next to Smithfield market near Farringdon, Barbican and St Paul's, Club Gascon boasts a stunning menu with dishes that focus on the very finest ingredients from the South West of France. 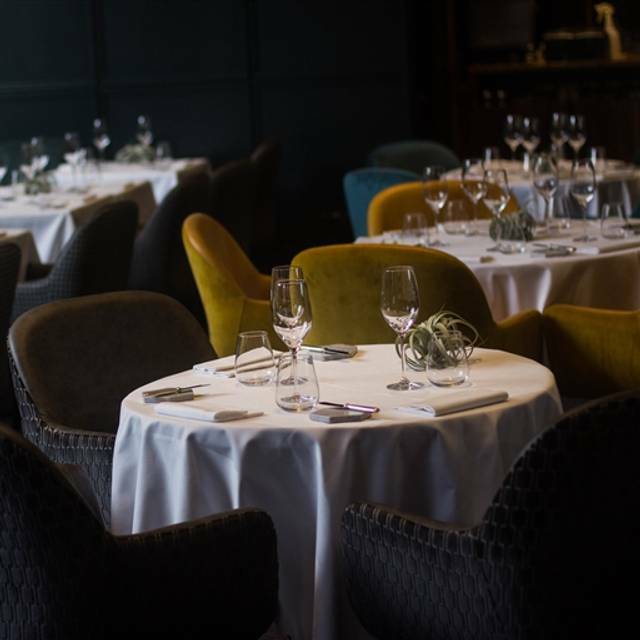 In the elegant yet relaxed dining room, diners are advised to choose three or four dishes from the superb à la carte menu or to be guided by the chef 's selection menu which continues to excite and delight. The Wine Cellar is as fascinating as it is extensive, composed of over four hundred varieties of wine from the South of France. Delicious tasting menu with interesting wine pairings. Professional and engaging service. Expensive but worth it for a special night out. We were well received, some of the staff seemed a bit insecure. Food was good, the Dover Sole was the low point, the highest one was the fresh fois gras. Nice and relaxed atmosphere. Amazing experience and thank you to all the staff for making my boyfriends birthday special and all the recommendation. Will come back. We ate at Club Gascon for a business meeting. It was a superb evening and easily surpassed expectations. The perfect venue for any kind of important occasion. very good - i thought the food was outstanding - best restaurant I have ever been to. We tried the 5 course tasting menu with the wine pairings. Most courses were well prepared and presented. One course was confusing as it combined lamb with a fish based sauce. None of us appreciated the competing flavours. Wines were excellent and will explained by the sommelier. Overall a good experience. Would probably go back, but order of the a la carte menu. Food was uniquely prepared and very tasty. Only had two courses. Service was excellent - waiter explained very clearly about each dish. Price was very good value. We went for a special occasion and enjoyed the 5 course tasting menu with wine. Have to say the service and extras provided were amazing. Each of the courses were delicious and the wines paired. I think the flavours for each course were very carefully considered. I would definitely recommend going for a special occasion. Disappointing. This restaurant has really gone down hill since I last used it. Very special restaurant and food. Perfect service and a real WOW place to take a special client, good friend, or significant other. I will be back! A truly wonderful dining experience. Everything about this meal was first class. Couldn’t fault the food, wine, service or ambiance. Perfect place for a working lunch, low noise levels and excellent unobtrusive service. Might benefit from having slightly less supplements on the set menu though. Overall an enjoyable 7 course tasting menu with paired wines but some of the courses were too "out there" such as almost raw scallops and Vacherin ice cream. I wouldn't take friends there in case they found the cuisine too extreme, unlike other good restaurants like Joel de Rebuchon, Galvin La Chapelle etc. The sommelier was absolutely excellent, though, her knowledge was fascinating and her choices excellent. If one is interested in good food, wine and service then this is a place to go. A bit pricey but then quality is rarely cheap. Excellent food, and the sommeliers wine pairings were spot on. Only real gripe was that the service was slow. We were seated at 8pm and didn’t finish until 11.10pm, so about an hour or so too long. Nice restaurant ! Great food and wine. All the people there are beautiful and friend. I love the food best! High quality lunch, great use of truffle and seasonal products, very nice selection of wines - especially from the south-west of France ! A gem in Clerkenwell! Service attentive but not intrusive - excellent and informative sommelier suggestions. I had the "Dejeuner Club" 3 course lunch menu - a steal at 40 GBP. Foie gras "Brulee" was literally a savoury creme brulee (duh - delicious but I perhaps should have sprung for the barbecued version supplement). Venison (+18 supplement) and souffle were flawless. Wine pairings (suggested) very good and reasonably priced. The way I drink (!) my lunch bill came to 128 GBP - I will be back. A sensational dining experience. Superb levels of service, exquisite food and a lovely setting. Both dinners had either an allergy or an intolerance but these never pose a challenge for the restaurant, alternatives are provided and care taken. The Sommelier is superb and provides excellent pairings which never disappoint. All in all a wonderful meal, highly recommended. Club Gascon never disappoints. Veel Te duur voor wat het was. Toiletten niet in overeenstemming met het type restaurant. 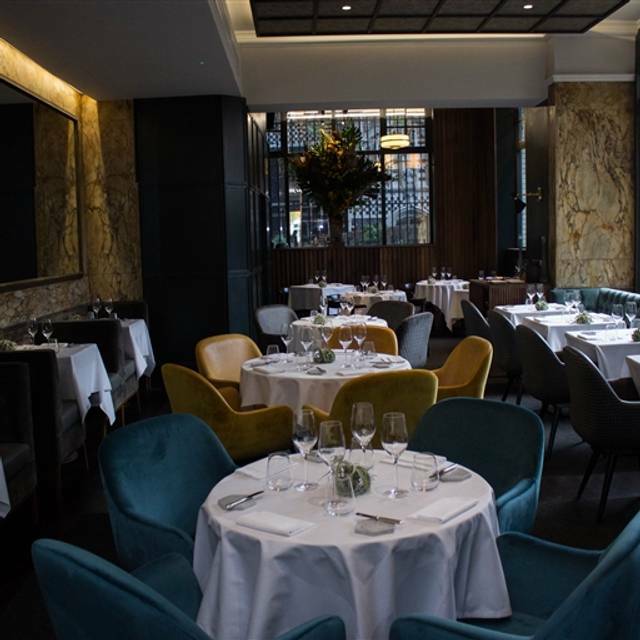 Club Gascon is one of the finest restaurants that we have visited in London. The food was exceptional for our lunch time visit. 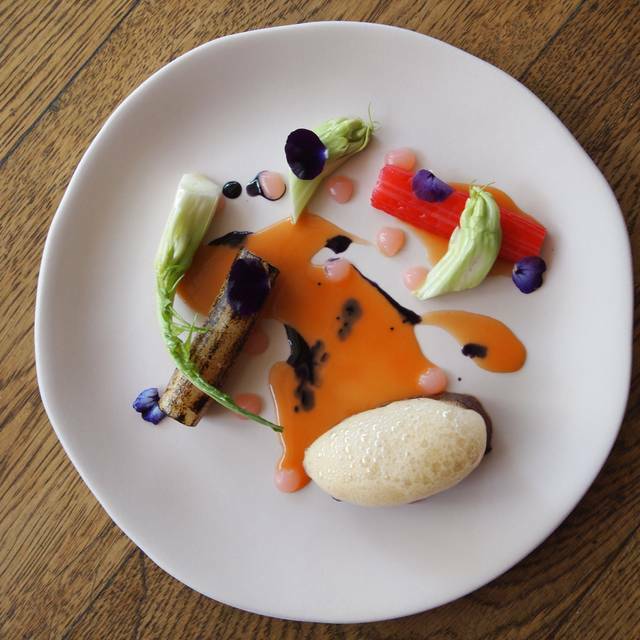 We chose the set menu which was imaginative , unusual and delicious. The service and ambiance were impeccable. The intimacy of the dining area added to it's charm. 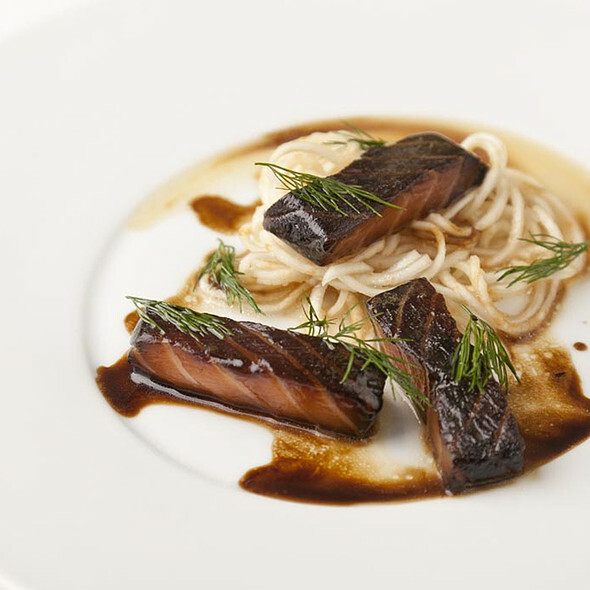 We would highly recommend Club Gascon and look forward to returning in the near future. Very little atmosphere. Tasting menu for both of us lacked flavour, mostly bland & very disappointing. A lovely meal, the first four maybe five courses were fantastic. The puddings were a little to be desired of, but generally one of the better tasting menus around. Well worth a star. I came here (for the 2nd time) with my boyfriend for his birthday. 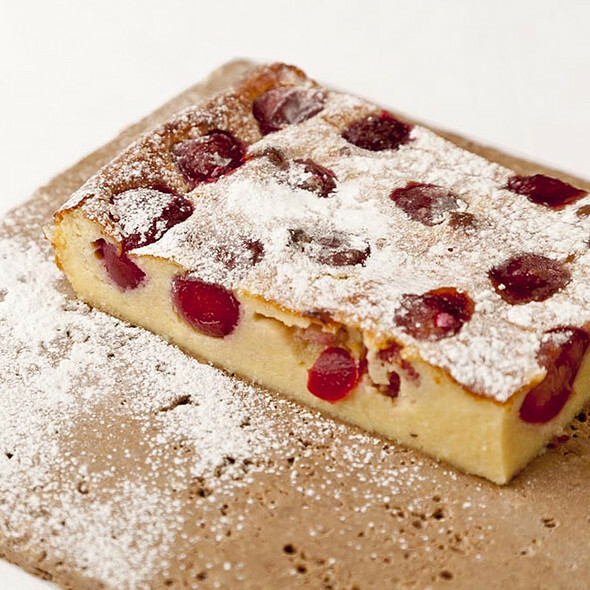 We had exceptional food and service - the standout was the Foie Gras for which this restaurant is renowned. Extraordanarily good value, and having eaten at numerous Michelin Starred establishments recently, this truly stood out. The Birthday Card from Head Chef Pascal Aussignac was particularly appreciated; we will be back! Really like the place! Good food and good service. 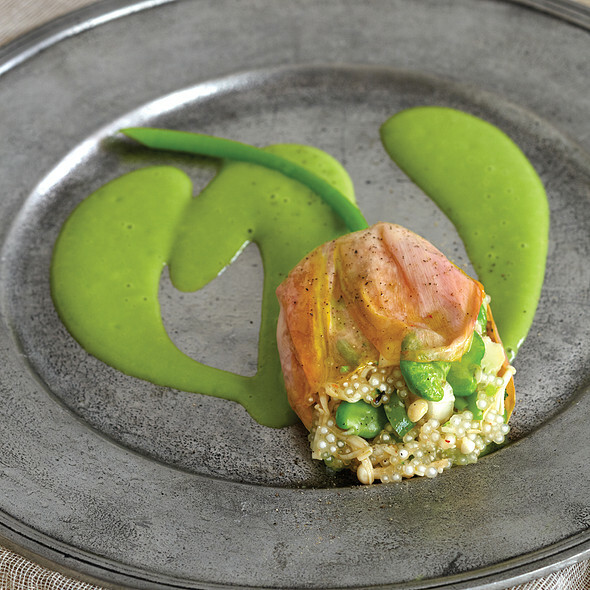 The dishes are quite creative yet different flavours are well balanced. The food was excellent, and the service was outstanding. I highly commend the front of house staff who greeted customers. The excellent food seems to have been turbocharged. The old crackling egg is back, while the new dishes are 10/10 as far as our table was concerned. The geranium pallet cleanser was spot on, with just the desert course being a teeny bit weak. Wine list has expanded and on our visit their top league sommelieuse is back - and she helped us in just the right way. The other younger sommelier could however learn to smile - in a selling job we wonder how that works for him!Nonetheless his more experienced senior was excellent - even dealing well with a wine know it all from the trade at the next table (who was getting boring to listen to - being too noises to filter our). Managing that takes panache and confidence so well done to her. Very accomplished food with excellent service in a lovely room. Quite and exceptional experience. Attentive and knowledgeable waiters. Some of the dishes were excellent some were just horrible. Out of the 7 dish taster menu 3 of the set dishes were suberb. Rest 4 not that great. All the additional dishes, canapes etc were really good and loved the display. Great all round meal. Service excellent, including sommelier. The decor and ambiance are excellent. Foie gras to start was a pleasure, and finished with a nice cheese selection. The main issue for me was the main course. Had four choices. Stared at the menu for a while wishing there were more choices as none of the four appealed very much. Chose the fallow deer. The plate arrived with four cubes on it, occupying about a third of the plate. My first assumption was that they would bring the deer separately. It turned out that one of the cubes was the deer. A bit minimalist! Still it was a very enjoyable meal. Outstanding! Perfect evening, the food was delightful and the service was perfect.